Vleep! It’s my Birthday, I can be late if I want to. 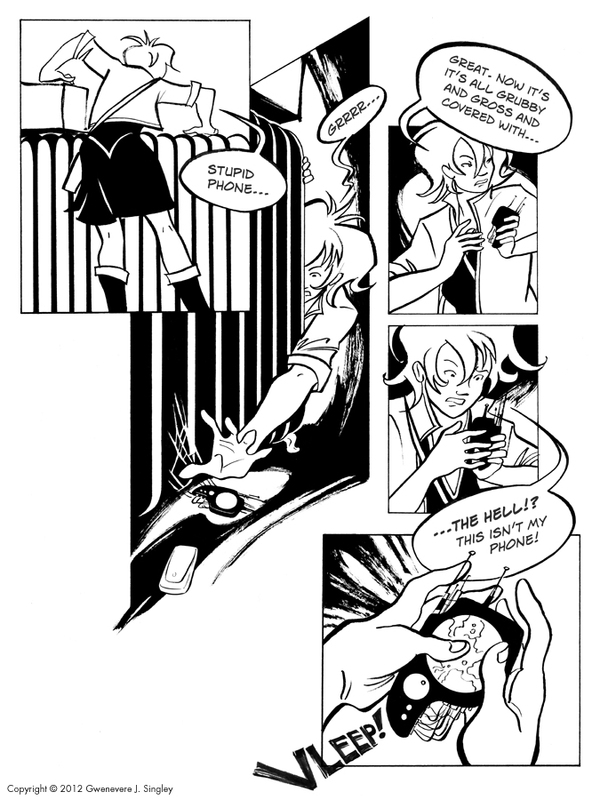 (Also it’s been a hella messed-up kind of day, but never mind that…) But lo, page three is up! I swear, any space I’ve inhabited in this city, I always find some weird debris left behind a radiator or under the stove or something. It comes with the territory. With Vitalia’s luck, she finds weird things that go “Vleep!” And this is where Things Start Happening. Stay tuned, folks!